Donna is a great Teacher. 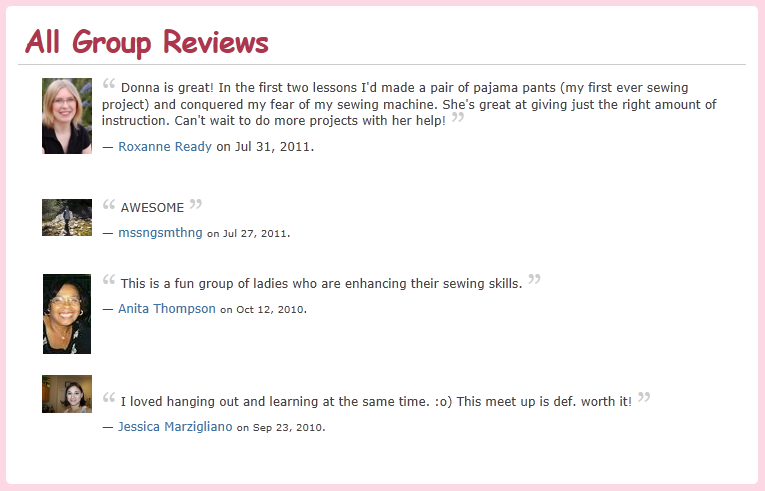 I miss sewing with you, hope to sew with the group soon. I’ve been wanting to sew since forever.. and I’m so happy to have found Donna! She got me started on sewing. The shopping trip was really helpful and I made my first sewing project with Donna’s help!